Many years ago, before I had children, I was an elementary school teacher. With the birth of my first child, my career came to an abrupt halt. When I sent my youngest off to Kindergarten, I realized I missed teaching and went back to work as a substitute teacher. That’s what I do when I am not traveling. I love my job because I interact with children in our community on a regular basis (including my children’s friends), get to know the teachers in our school district, have hands-on experience with the curriculum, and never have to bring work home with me (which is truly the best part). 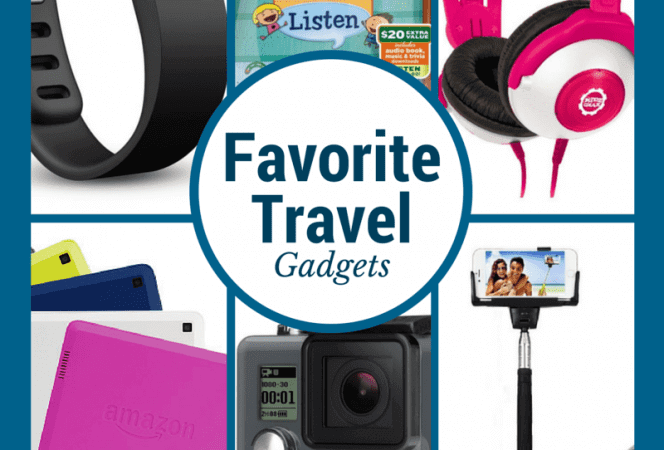 I am constantly searching for tools that make learning fun. As technology advances, our children want more. I realized a while ago that I was fighting a losing battle, insisting they learn everything from books and hands-on experiences. My kids want technology and if I’m going to give it to them, I want them to learn something along the way. I downloaded the following apps to my iPhone and iPad and had my kids (ages 7, 10, and 12) test them out. 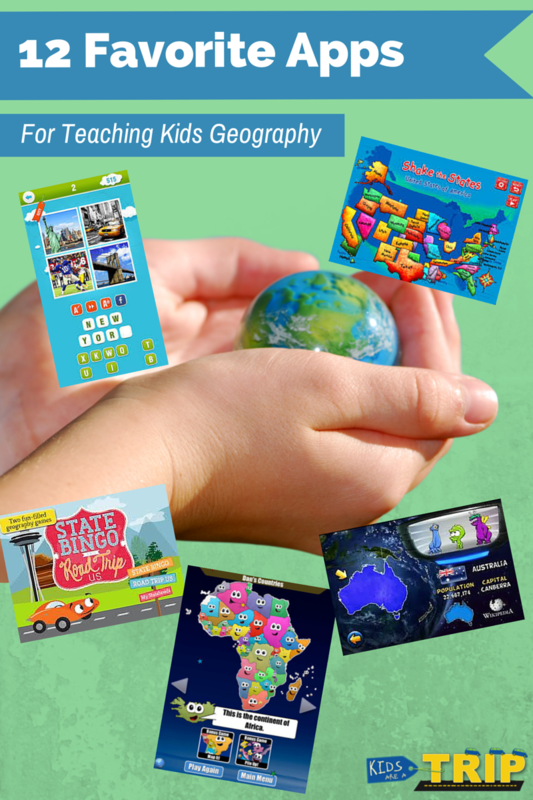 Here are their favorite geography apps that we plan to keep. I just love the cute little car, Pep, and the colorful animation! I am not a fan of spending money for apps, but this one seemed to have a lot of positive reviews, and since many of the other games I downloaded are free, I decided to take a chance. It was money well spent. The game is actually two games in one, a Bingo game and a road trip trivia game. There are three levels to choose from, Easy, Medium, and Hard. My youngest son (age 7) needed help with some of the questions: “I am the state located west of Ohio”, but others were much easier, “My abbreviation is FL” and the only choice that fit was Florida. Hopefully you get the idea. The kids are given riddles and clues about states, capitals, and famous landmarks as they make their way through the game. 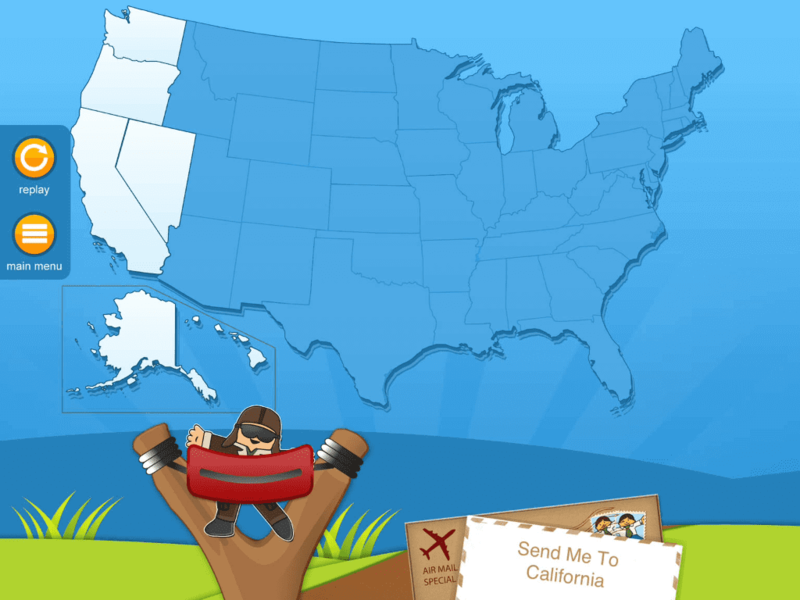 As kids complete an individual game, they earn “Statehoods” and the goal is to collect all 50 states. My kids were hooked, and I think this game will be one they ask to play for a long time. It is only available on iPad, but there is a different version, State Bingo and Geography Crossword, available for $1.99 on iPhone. This game features three aliens, Moe, Barry, and Marvin, who travel around in their spaceship, learning new facts about planet Earth. The aliens fly around the world, hover over a country, and you have three chances to correctly identify the flag of each country. Each wrong answer zaps an alien out of the ship. After successfully answering five questions, the player levels up. The faces the aliens make when a player hits the wrong answer are priceless. Definitely a fun way to teach maps and countries. Available for free on iPhone and iPad. I call this the technology version of the wooden puzzle. Players grab each state and drag them to their proper location on the United States map. However, if the state is in the wrong place, it falls off the map! Easy for younger kids and can be challenging for older ones when you remove the state boundaries (level 2). The app even pronounces the name of each state as you touch it. I wish they had this ages ago! All of my kids had fun with this app, and enjoyed competing to see who could complete the most states. 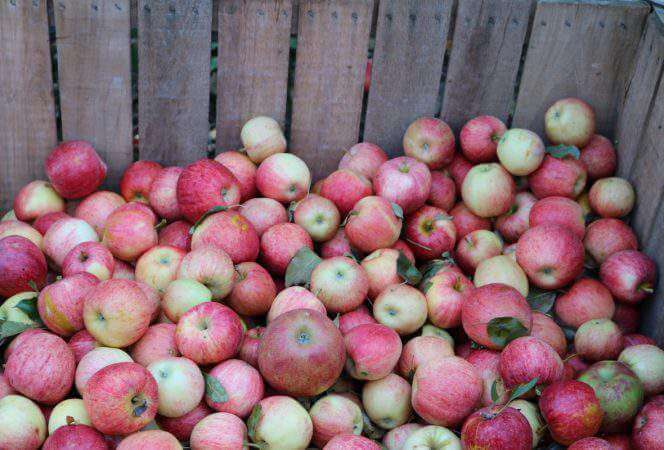 Available only on iPad. I am not going to lie, this is a challenging app. My oldest child used this app last year to prepare for the National Geography Bee and it was an invaluable tool. I would say it definitely works better on an iPad than on an iPhone because you have to identify places on a map using your finger and the iPhone struggles to identify the exact location because of its size. The app features multiple choice National Geography Bee questions that honestly, I found quite challenging, but I think that is part of the fun. There is a timer, constantly pushing the user to beat their previous scores. My older two are hooked and if it helps them advance this year in the Geography Bee, I will let you know. Available for iPhone, iPad (preferred) and Android. This app allows players to match flags, landmarks, and capitals to different countries around the world. Each level has three rounds, once completed, an alien eyeball “validates” your answers. Successful scores advance you to another level. The characters are cute and the graphics will keep the attention of most younger children. There are also mini games in between that the kids thought were “cool”. Available on both iPhone,iPad and Android. Flat Stanley is a book character created by Jeff Brown 50 years ago. The story goes that a bulletin board fell on young Stanley while his was sleeping, leaving him flat as a pancake. Since then, Stanley has been enjoying many adventures and school children today create their own Flat Stanleys as a pen pal project and send them all over the world for photo opportunities. More about the story can be found here. This free iPad app is an extension of the book, and is probably better for younger children. 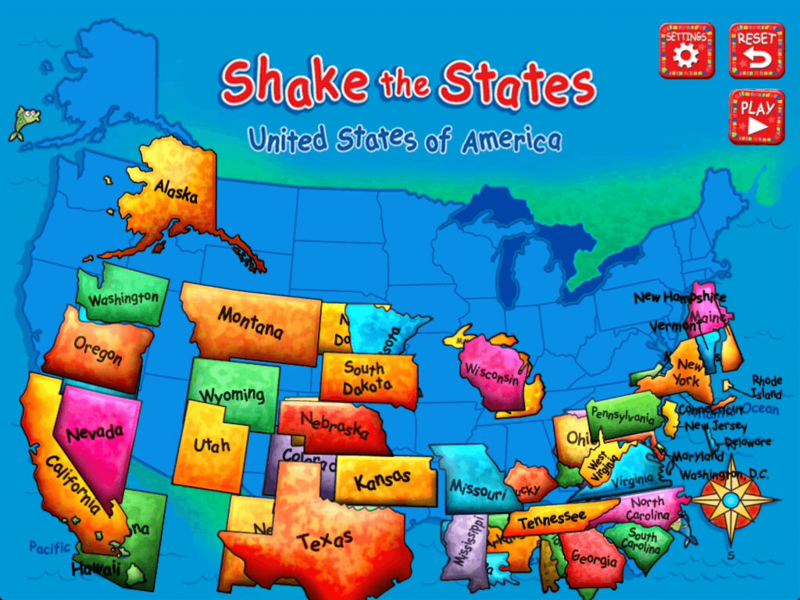 In the free version, kids work on spelling the names of the states, and launching Flat Stanley into a state based on its shape (no name given). 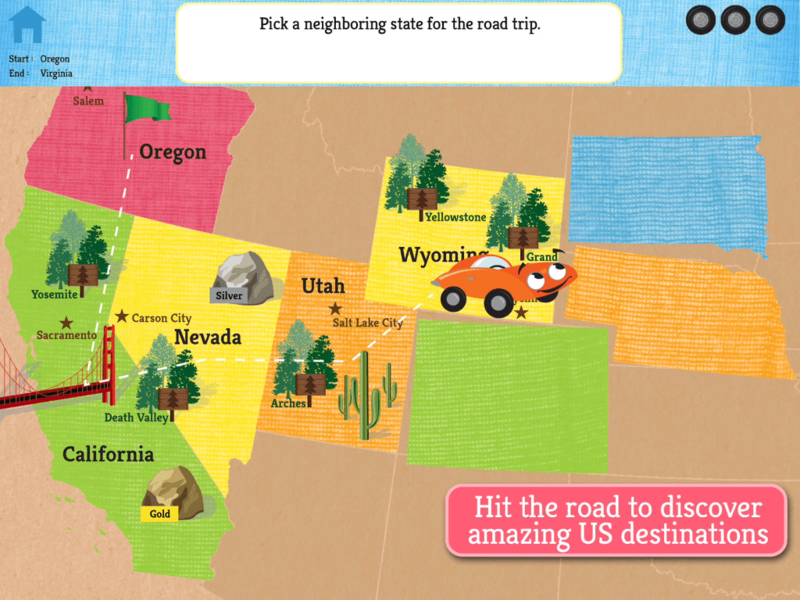 The US Geography with Flat Stanley HD (available for iPad only, $1.99) has great reviews and builds on the spelling and geographic locations introduced in the free version. If your kids love Flat Stanley, they’ll love these apps! If you are familiar with the top-selling app Stack the States, then you should definitely know about Stack the Countries. Kids learn all about geography. Learning the shapes of countries, landmarks, languages, flags, capital cities, and other geography facts make this game fun for kids and adults alike. Players are given a multiple choice question with four countries to choose from. The object is to balance countries on a platform, one on top of the other until they reach the line across the middle of the screen. Once a stack is complete, the player earns a new country. A player must earn every country in a continent before advancing. The kids could (and do) play this game for hours. I highly recommend. Available on iPad, iPhone, and Android. This is a straight-forward, simple quiz game that tests your memory for world flags. You are shown a picture of a flag and four country choices, if you guess wrong, it deducts points, three strikes, you’re out. Actually, you have to start over. Each time you try to better your score. Good old fashion game playing. The kids liked it, but it doesn’t hold their attention for a long time. They will go back to it however and try to improve their score or do better than their siblings, so I guess they’re learning something. Available on iPhone and iPad. Mindsnacks does an amazing job of creating learning apps that everyone loves. I am a big fan of their language apps that I honestly find addictive. The geography app is no different. We’ve had this on my phone for less than a week and it is the kids new favorite. It seems to cover every geography fact you could want to know about the United States from landforms to state capitals, mottos to state history. Endless trivia questions means tons of learning is going on. Players have multiple games to choose from and as they advance, more games become available. Tons of fun. Available on iPad and iPhone. This game is geared towards older children, or at least those that have a solid foundation of world geography, spelling, and landmarks. 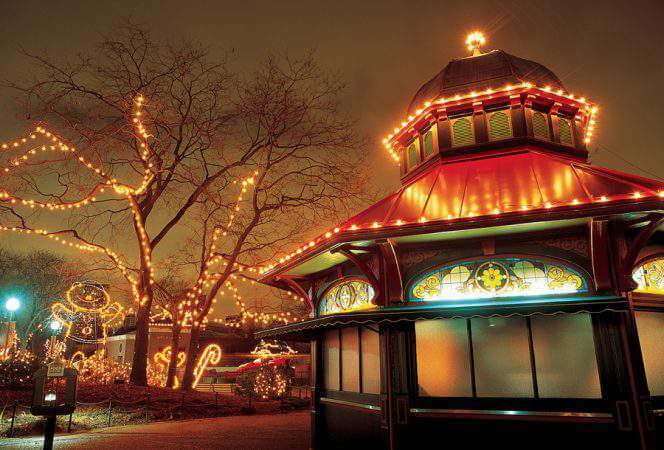 Players are shown a screen of four photos and have to guess the location based off these clues. Locations can be cities, states, or countries. This is fun to play for a short time. Available for iPad and iPhone. In this game, users are first asked to choose a region of the world, and then they can choose a quiz method. For example, if a player chooses Europe, next they might choose Flag to Country, which means they have to match the flag with its country, and then they have to choose the length of the quiz (from 15 questions to a timed quiz), after this the game begins. Users can build their knowledge of flags, maps, capital cities, states, countries, and territories. The choices seem endless! The graphics aren’t as exciting as some of the other games, but it definitely builds a solid geography foundation for kids. Available on iPhone and iPad. Younger kids will love the idea of completing missions to rescue the world from the grips of an evil rooster. It is the goal of the game player to help Tiny the Chicken stop Dr. Evil from making a rooster shaped world. Such a fun premise for an app. Kids will learn about countries, monuments, flags, and capitals and forget they are learning. There are two modes, learn and challenge to help children improve their skills. Available on iPhone and iPad. I hope this list of apps is useful for teaching your kids about geography. I know my kids certainly enjoyed playing these games. Do you have a favorite geography app you would like to share?